Rockford is ready and willing to help your Rock River development happen. Find out more about all our commercial incentives! The Rockford Region has always been - and always will be - one of the most powerful economic engines in the Midwest. In fact, our economy is projected to grow over 22% by 2020. The Chicago/Midwest Megalopolis economy of which we are a part totals $530.6 billion, the 19th largest in the world. Still, we have a stand-alone identity of our own that defines us as different than the growing mass of suburbia to our east. This is a city of pioneers in which many business "firsts" were born, including the roots of digital computing technology in the workshops of 20th century local inventor Howard Colman, as well as much of the aerospace technology that keeps flights aloft all over the world, like those of the Space Shuttle. Whether you operate a large business and seek a strong work force and transportation access, or you're an entrepreneur looking for the low-hanging fruit of opportunity, you'll find eager hands and brilliant minds to help in the Rockford Region. 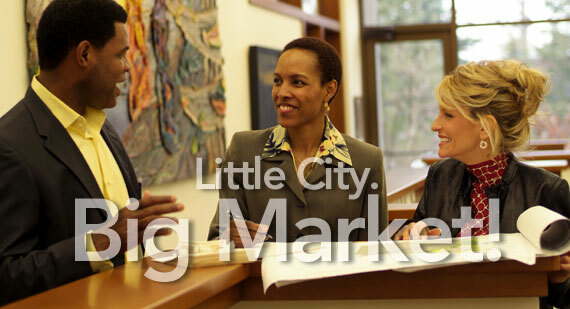 You can start by speaking to the experts at the Rockford Area Economic Development Council. For more resources on working in the Rockford region, click here.